The Cass County Sheriff's Office Posse is a support group for the office. The members are dedicated county residents that participate in parades and special activities promoting the Sheriff's Office. If the need arises, the Sheriff may call on the members to help search remote areas when a child or adult becomes lost. The members pay for all their expenses and furnish their own equipment. The Cass County Sheriff's Office is seeking motivated men and women who are interested in joining the Sheriff's Posse. Law Enforcement Support, Community Enhancement, & Mounted Fellowship. 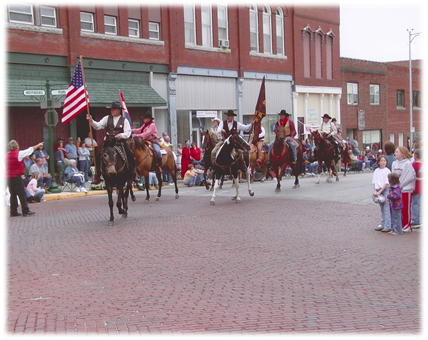 The Cass County Sheriff's Posse is a riding club that represents the Cass County Sheriff's Office. The members love horses and the outdoors and have a desire to serve our community. The Posse is a volunteer organization. Although some of the equipment and uniforms may be provided by the Posse through fundraisers, each member is required to have a horse that is broke to ride, the necessary tack and transportation for themselves and their horse to get to various functions. All of the members' time and most of their expense is voluntary and comes out of their pocket. 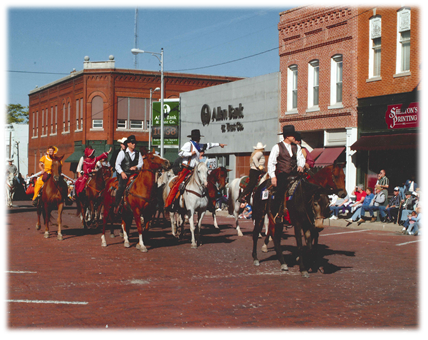 The Posse represents the Sheriff's Office by riding in several parades during the summer and performing search and rescue or other law enforcement activities throughout the County. The mission of the Posse is to provide mounted and ground-support to the Sheriff as needed. It has expanded its scope to promote charitable and public service activities within the community and to promote health and safety among equine enthusiasts – riding and non-riding. The Cass County Sheriff's Posse are looking for men and women of good moral character to serve as Posse Members. Interested individuals should complete an Employee Application, by clicking HERE.